“…jab tak is Bharatiya samaj me chhuachhut aur asprushyata rahegi, ham apne ujjwal bhavishya ki kamna nahi kar sakte… (We cannot dream of our better future till untouchability remains in Indian society…),” Adityanath added. The UP CM asked the religious leaders to take the lead in spreading the message of brotherhood and unity among the people of India while adding that untouchability can never be part of Indian culture and if it does then people should be ready for Somnath like attacks. He added that many elements who want to weaken India, they always try to bring such divisions in our society. 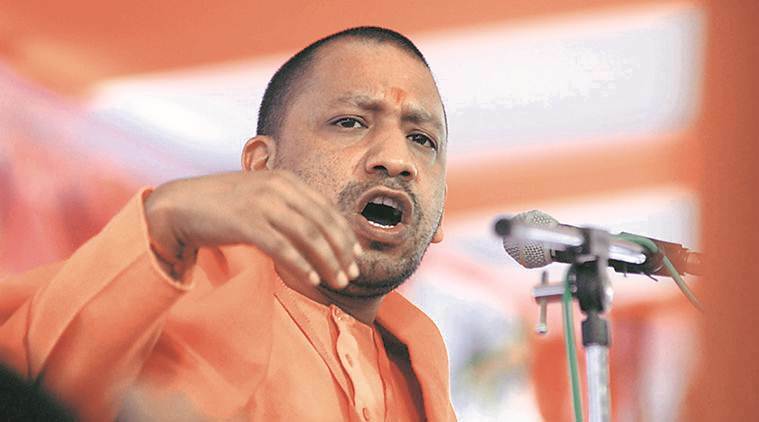 In his around 40-minutes speech, Adityanath also hailed Prime Minister Narendra Modi for laying foundation stone of a temple in ‘fundamentalist’ Saudi Arabia. “Duniya ke andar sab se kattar desh agar koi hain to Saudi Arab hain aur Saudi Arab me bhi aap ke Pradhan Mantri mandir ka shilanyas karke aate hain…Yani Bharat ko duniya ke kshitij par sthapit karne ke liye… (Most fundamentalist country in the world is Saudi Arabia and even there your Prime Minister (Narendra Modi) has laid a foundation stone for a temple. This is to establish India on the world horizon…),” Adityanath said. Gujarat Chief Minister Vijay Rupani and Deputy CM Nitin Patel were also present on the occasion. Rupani said that religious saints were the prestige of BJP party.